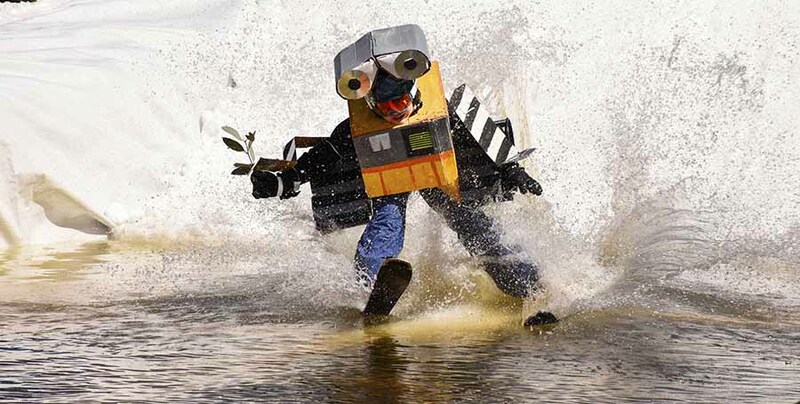 A spectacular line up of skimmers took on the famous Mt Buller pond on Bourke Street last weekend in elaborate costumes including a strawberry with a needle through it, a reusable Coles shopping bag, unicorns, Miley Cyrus on a wrecking ball, brides, animals and super heroes. 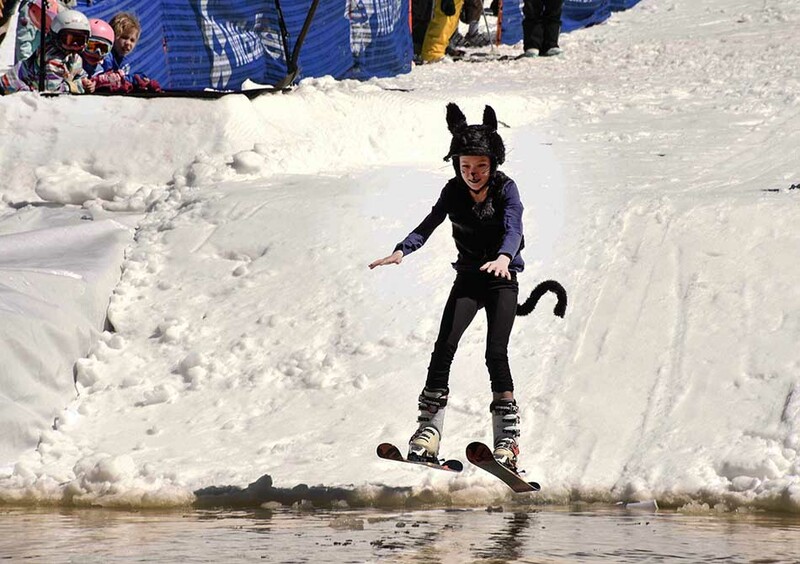 The Yak Ales Pond Skim National Championships involves skiers and boarders attempting to make it across a pond built into the snow while being cheered on by an enthusiastic crowd each springtime. Skimmers enjoyed a beautiful sunny day with a top temperature of just 6 degrees. 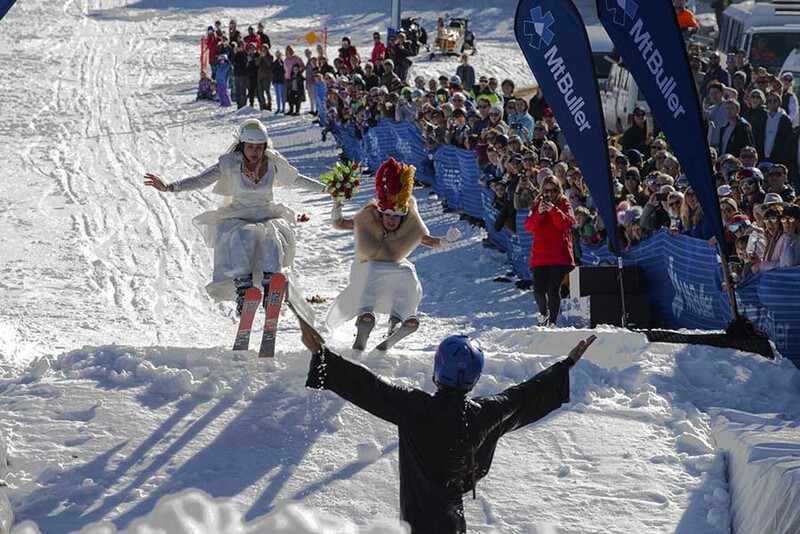 Judges this year included Olympian and resort ambassador Jacqui Cooper, Pete Helliar and Cats AFL players Joel and Scott Selwood who scored the skimmers on distance skimmed, costumes and choreography. 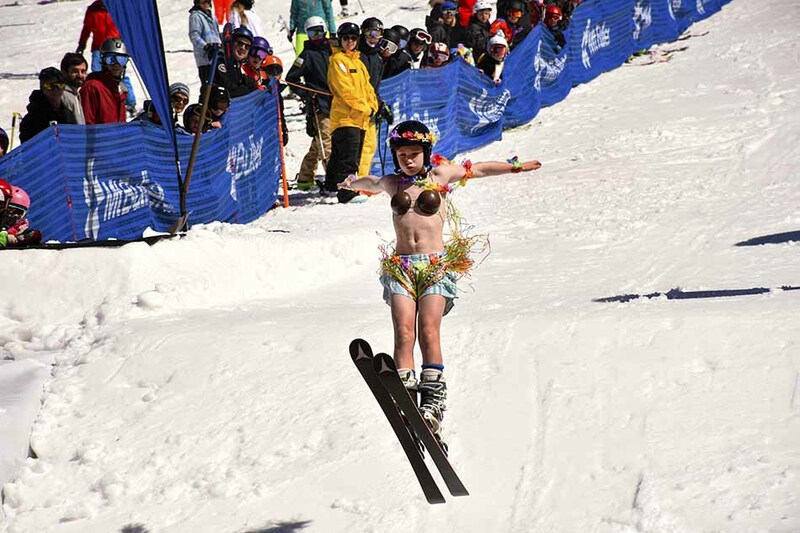 Edward Hill took the podium for the Juniors bravely dressed as a hula girl complete with coconuts and skimmed strongly making it all the way across the pond. 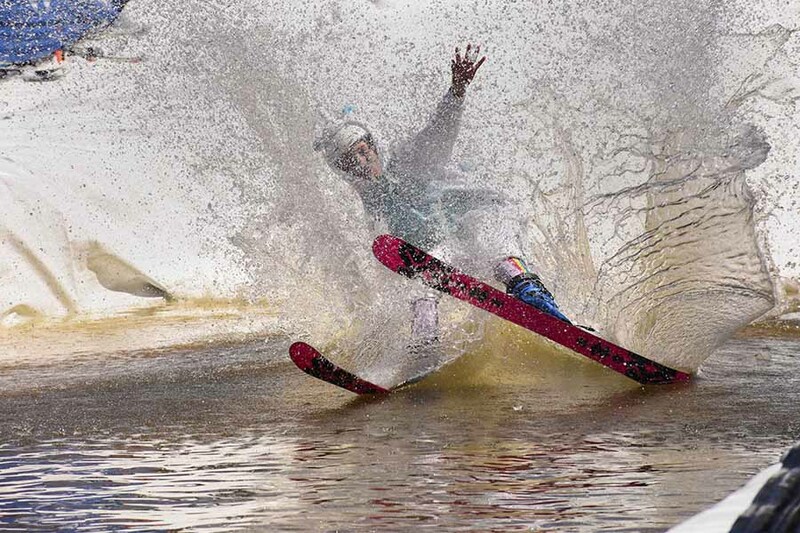 Experienced skimmer Andre Bennett took the National title again and wowed the crowd. Andrew Clark came in third from the judges and was a crowd favourite for his topical strawberry inspired costume and urged the crowd to buy strawberries and support the farmers. 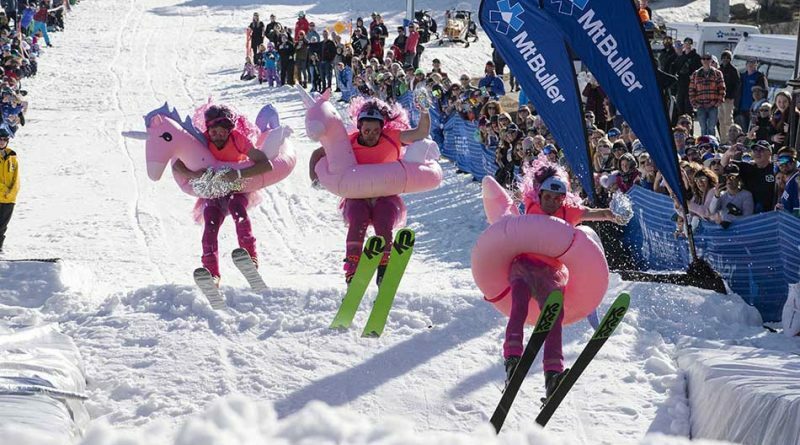 The Pond Skim is a highlight of the Mt Buller spring calendar and marked the start of the September school holidays. 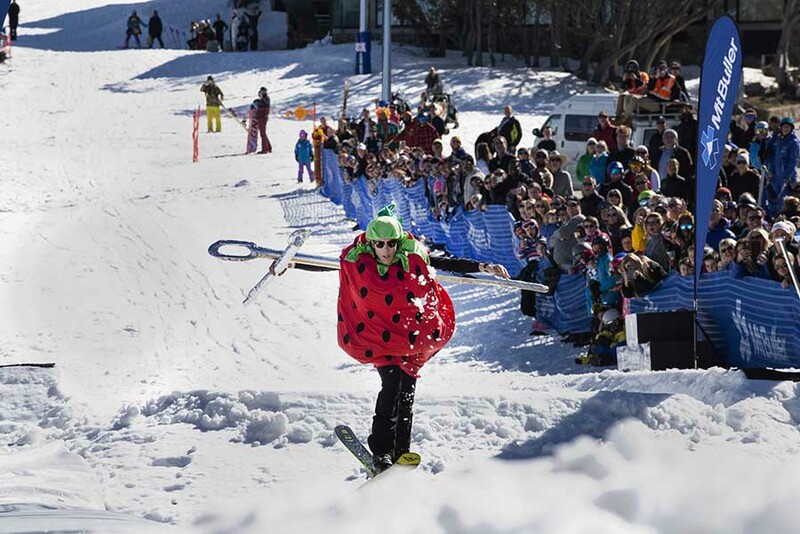 Mt Buller is open for great spring skiing and boarding until 7 October with very good snow cover and 19 lifts turning.